Orders for everything but pits and grills can normally be shipped internationally by the United States Post Office Priority Mail International and this usually is cheaper than UPS or FedEx. Customers can contact us by email info@tejassmokers.com prior to purchasing these items or go ahead and put them in their shopping carts. In either case we will contact the customer for their approval on the shipping charges prior to shipment. We have agreements with bulk shippers to reduce the cost of insured shipments to Australia, New Zealand, Europe and many other parts of the world. Email info@TejasSmokers.com prior to placing the order to get a reduced rate international shipping quote. Accessory items are shipped free to the 48 contiguous U.S. States. All other destinations are F.O.B. Houston, Texas. 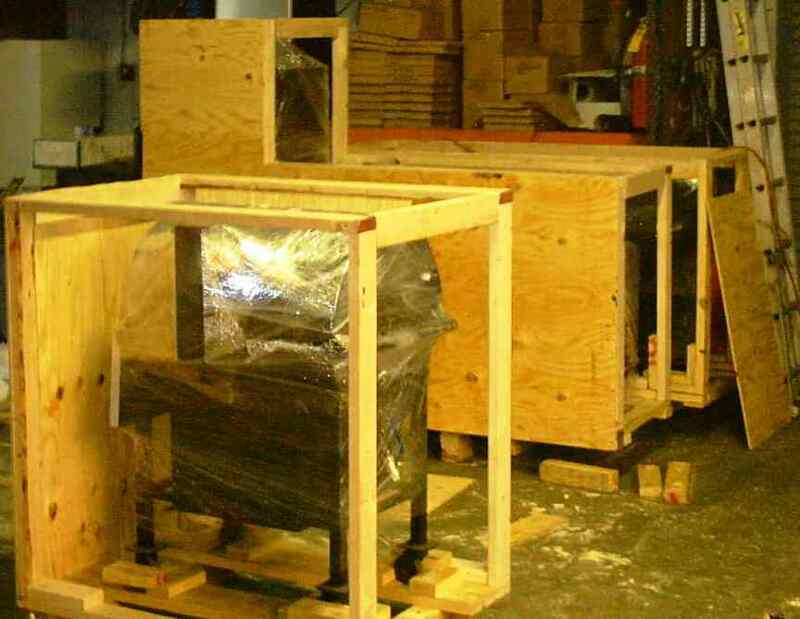 After the crating is built then the entire crate is banded with multiple 3/4" steel bands for extra security. The freight forwarder will normally pick up the crated merchandise up at our dock high warehouse, but if you prefer we will have the crated pit or grill delivered to your local freight forwarder for a charge of $85.00. Tejas Smokers will prepare a Commercial Invoice, Packing Slip, and Bill of Lading for this shipment at no extra charge. We work with all the freight forwarding companies in the Houston area and are familiar with their procedures. Model 1628 smoker pit, crated dimensions: 65" x 29" x 46", crated weight 550 pounds. Model 1628CC Deluxe smoker pit, crated dimensions: 73" x 29" x 75", crated weight 825 pounds. Model 2040 Deluxe smoker pit: crated dimensions: 77" x 31" x 49", crated weight 775 pounds. Model 2040CC Classic Chef smoker pit, crated dimensions: 91" x 31" x 78", crated weight 1050 pounds. Model 2442 Deluxe smoker pit: crated dimension: 86" x 33" x 60", crated weight 1150 pounds. Model 2430 smoker pit, crated dimensions: 49" x 37" x 59", crated weight 600 pounds. Model 2436XL charcoal grill, crated dimensions: 54" x 46" x 55", crated weight 575 pounds. Model 2454XL charcoal grill, crated dimensions: 70" x 46" x 55", crated weight 650 pounds. There is usually ample room in these crates for other products like frying stands, crab cookers, and other outdoor cooking appliances. The added weight usually makes a negligible difference in the shipping charges so feel free to add some more items. You will be billed directly from the freight forwarding company for their services which include preparing the export documents and clearing customs at the Port of Entry in your country. They will want to know the HS Classification Number for these products: 7321.63. Freight forwarders can arrange for you to pick the crate up at a local port or have it delivered to a residence or business. Depending on what accessories you order the weight may vary slightly but the above weights are a good estimate in most cases. 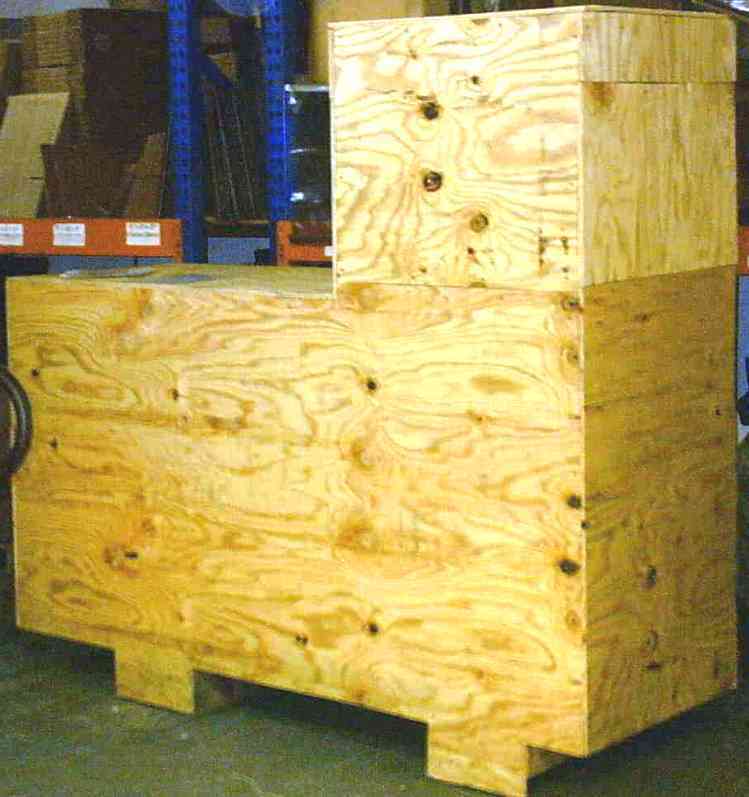 In any event the freight forwarder will re-weigh the crates upon arrival in their warehouse. Our crating time varies but usually we can get an in-stock pit or grill crated within a few days. If you have further questions contact us: jim@tejassmokers.com or call 713-222-0077. The U.S. Freight Broker will need to know the Tejas Smokers, Inc. Federal Tax ID # 76-0445725. Texas Sales Tax is not charged on sales for international shipments. Online purchases for merchandise delivered to or services rendered within the State of Texas will automatically be charged the prevailing 8 1/4% Texas Sales Tax. Texas-based retail merchants, Texas charitable institutions, Texas eleemosynary organizations, and Texas churches may make online sales tax-exempt purchases by entering the quoted merchandise payment amount in the box below. Describe what the payment is for in the Comments section during the Checkout of your Shopping Cart. We accept Visa, MasterCard, Discover, and PayPal. The Comptroller for the State of Texas requires that we have a completed Sales Tax Exemption form or Sales Tax Resale Certificate form #01-339 on file for these types of purchases: Texas Sales & Use Tax Forms. You may email the scanned completed form to: info@TejasSmokers.com. Items ordered in this manner, Texas Sales Tax-Exempt, will NOT be shipped until the proper sales tax exemption forms are on file in our office.